TuiNa, sometimes spelt Tui Na, is the massage form frequently used in Traditional Chinese Medicine (TCM). As any other form of TCM, special emphasis is placed on achieving full bodily harmony by balancing the various Meridian or Sen lines and allowing free flow of Chi. Great importance is placed on balancing the Five Elements. This is the premier form of Chinese alternative massage therapy. The CNHC is a government sponsored registration body for complementary healthcare practitioners. The Department of Health advises all GPs to direct patients seeking Masaage Therapy to seek out only CNHC (the Complementary & Natural Healthcare Council) registered therapists. Shorter versions of TuiNa may be performed without oil, over your (light cotton) clothing. When performed in this way, this massage routine may be quite deep and invigurating, when needed. For longer sessions, this Chinese massage form uses a highly specialised blend of Aromatherapy essential oils that will be tailor made to suit your personal needs (as established in your Five Elements reading). 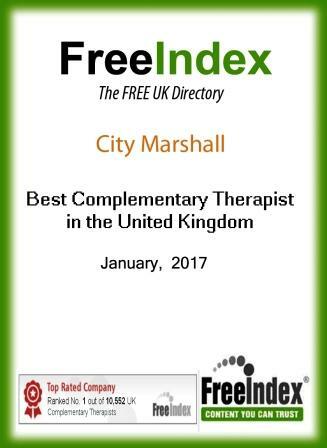 As it methodically channels your Meridian energy and alleviates any blockages, you can expect to walk away from the massage feeling ‘in tune with the world’. This unique massage achieves this by stimulating any blocked and stagnant energy and transforming it into a boost of positive rejuvenation. 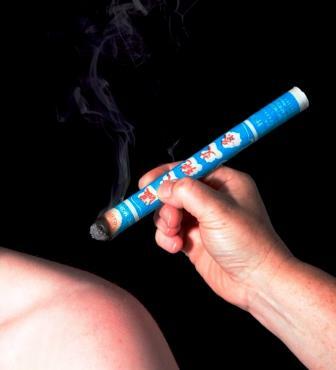 A highly acclaimed and very important UPGRADE* to TuiNa massage is the addition of Moxibustion Mugwort moxa stick burning that is extremely effective in elevating muscular pain and is often used in child labour or in cases of a breech. There is clinical evidence to suggest Moxibustion is very effective in treating knee osteoarthritis and chronic knee pain. Tui Na massage also lends itself really well to the inclusion of Hot and Cold Stones therapy, as these basalt, marble and granite stones are highly effective in balancing the Five Elements. Crystal Therapy as well as Reiki are also a very effective tools in achieving total balance and harmony. Chinese TuiNa Massage is recommended at any time of the year, as this actually promotes a sense of refreshing harmony. 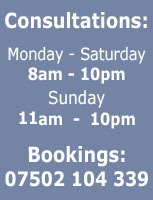 "Best massage in Cardiff. The Chinese massage and Shiatsu capabilities of Philip are superb and his ability to combine sports science techniques with acupuncture, reflexology with muxibustion - are second to none. This, by no means, is a 'regular' massage. He first deeply scrutinises your health history and gives you a possibility to express your genuine concerns. He listens attentively and makes suggestions of possible courses of action. He will explain with great patience the different techniques and their possible benefit to you. Although he runs an extremely busy clinic, his consultations are never rushed and you are made to feel the centre of importance. Philip has helped me see the error of my ways and with a sharp eye and intuitive observations, corrected my posture with some great (and practical) tips. He showed me some easy to follow stretches that I now do religiously 3 or 4 times daily and had advised me about improving my nutrition and diet. He even gave me free cultivation kits to make my own kefir yoghurt and kombucha at home, which has made a huge difference for my digestive issues. All in all - YOU GET WHAT YOU PAY FOR - and in Philip's case, this is a real bargain "
"I have been having tui na (cupping) treatment over 2 years for some old chronic/ stress related injuries that I accumulated. However, when I moved to Cardiff, I did not know where I could continue my treatment. A friend suggested to visit City Marshall. I am very glad I did because after a single session I could see massive improvement on my shoulder pain. Moreover, Philip (the masseur) explained what was causing my injuries and what I could do at home to avoid the pain getting worse. 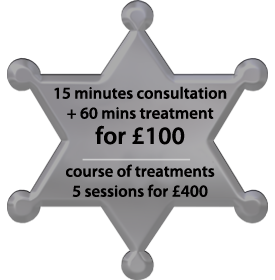 I fully recommend his treatments and although they can seem pricey, he offers student discount and it is worth every penny." "For the last couple of years I've been dealing with lots of tension and pain on my back. Tired of seeing many different GP's and taking painkillers, I called Philip […] My pain has improved a lot and I also feel lighter and able to carry on with my day without issues." "Went with an ongoing back issue. Had the best massage therapy I've ever experienced and problem solved. Will definitely go again and recommend to anyone. Maybe a little more expensive than some retail masseurs but you get what you pay for. And for a comparative service and result it's very reasonable." "The Tuina massage treatments with you during my short break in Cardiff were more powerful and more positive than I ever imagined possible - Thank you!" "Tui Na Chinese massage. 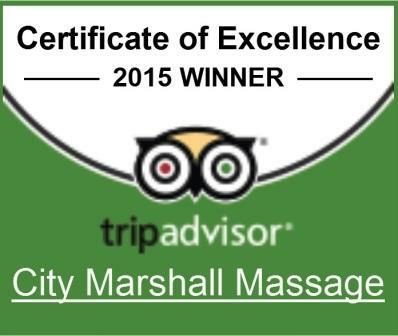 I found City Marshall's combined Shiatsu with TuiNa massage to a wonderful effect. This produced the great calm and peace of mind, without the essential oils and herbs that most Chinese herbalists insist on. The Five Elements reading was explained in a very straightforward and understandable manner. The 90 minute massage really flew by. A wonderful experience which I highly recommend. " Who can benefit from Chinese TCM Tuina Massage? Muscular aches and pains: sciatica, knee & back pain etc. Why is Chinese massage (TCM) different to a Japanese Shiatsu massage? Shiatsu is generally more energetic, with much more detailed attention paid to the actual flow of your Meridian energy lines. Shiatsu is also performed whilst remaining fully clothed in light clothing. Chinese traditional massage and Tuina focuses more on the Five Elements and achieving a harmonious flow of Chi through specialised massage manipulations. As the oil blend is of high importance in TCM Chinese massage, you are strongly advised against showering after the Tuina massage treatment. After your TCM Chinese massage you should expect be able to walk away feeling fully relaxed, revitalised, happy and ready to face the world with a newly found sense of balance. Aromatherapy products – tailor made soaps, shampoos, creams, gels, facial sprays, after shaves and deodorants – carry the feeling home with you in a jar!